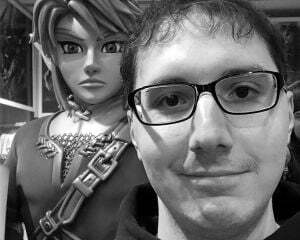 PAX East was one week ago and I'm still reeling from it. Since I'm apparently an old man now, I've been tired for the past few days while trying to wrap up my coverage from the event: I wanted to highlight a couple of games that I didn't get extensive hands-on time with. 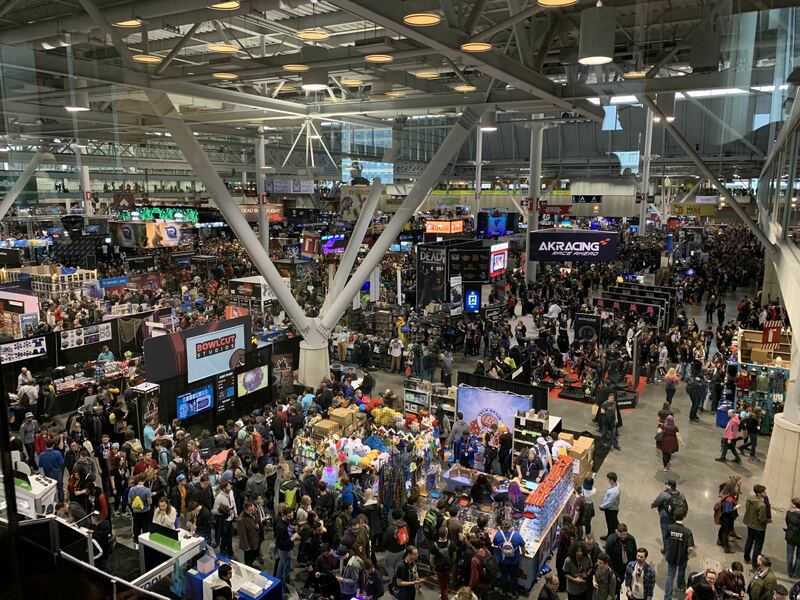 These are a few of the indie games from PAX East 2019 that I thought were cool and stuff. Maybe check them out, if you're interested! About a month before the event, a trailer for Embr appeared in my inbox. The description of it made it sound like a legitimate app, but a quick glance at the trailer revealed the real intention here. Think a mixture of something like Goat Simulator with a first-person shooter. This is a comedy game meant to parody the growing "gig culture" that is springing up thanks to the likes of Uber, Lyft, and Curb. In it, players are tasked with becoming an "Embr Respondr" and fighting fires in various houses. You'll log into the app, meet-up with other "professionals" in your area, and attempt to save people in need. You have a minimum required amount of people to save, though you can earn more money by helping the other residents in trouble. Saving those people will require careful coordination with your teammates. Before you jump into the fray, you'll be asked to select which class suits you best. The different options include things like an extendable ladder to climb out of holes, a trampoline to catch people from tall heights, a grappling hook to quickly scale buildings, and extra water packs for your fire hose. I think what really sold the game was the guy at the booth explaining all of this. He provided a ton of color commentary with funny quips like, "Remember, Embr Respondrs. If you die, you will not be paid!" I also find the ludicrous physics to be utterly charming, since chucking an old lady out of a woman results in her rolling around like a doofus. It's all very light-hearted, even if the social commentary can be quite sad. I dragged Rich along to play with me and he also seemed to enjoy it. There isn’t much to the demo just yet, but Embr certainly has a lot of potential as a joke game. I know things like Goat Simulator, Surgeon Simulator, and I Am Bread aren't necessarily "good," but their low price makes for a fun way to chill out while experiencing something on the fringes of being quality. Embr is a step above those but maintains the low-fidelity charm of those bonkers games. When Rich and I were at the Headup Games booth on Saturday, we both finished our scheduled appointments and decided to check out the other games present there. One thing that caught both of our eyes was a typing action game called The Textorcist. A comical take on the classic horror film The Exorcist, this game has you exorcizing demons through the power of your keyboard! Combining the likes of bullet hell games and Typing of the Dead, you'll go into houses, stand-off with demons, and then begin reciting bible verses at them by typing. During all of this, you'll need to use the arrow keys to dodge enemy attacks while maintaining your scripture reading. If you get hit, you'll drop your bible and become vulnerable to losing a heart. Take too long to recover the good book and you'll need to restart your verse. Everything is brought to life through a pixel art aesthetic that is very exaggerated. As I pointed out to the Headup Games rep present, one character had an almost Gonzo like nose, and even your main character looks like an out of shape priest. The demons you face have crisp animations and it's easy to distinguish bullets from the backgrounds thanks to how bright attacks are. It's retro, for sure, but at least very detailed. The one thing Rich and I enjoyed was the humor present. When I took over playing, I decided to check out the main character's computer. In a mock-up of Google (called Godle), you’re able to search for terms to figure out where possessed individuals might be and I decided to type in "God." An advertisement came up for "Faith Enhancement Pills" that could "Increase my Faith tenfold." I did feel like my faith was getting a little flaccid, so I could use some extra God in my life. If this all sounds interesting to you, the title is currently available on Steam for $14.99. I'm a sucker for typing games and this one has a super creative take on the genre, so I may just have to check it out. On the same day that I checked out N1RV Ann-A, Ysbyrd Games had me take a look at another one of its upcoming titles, World of Horror. Based on old PC-88 titles, this is a horror game that tasks you with uncovering a mystery in some Japanese town. It features branching paths based on your decisions, combat elements to deal with confrontations from ghastly apparitions, and roguelike gameplay to heighten the tension of each encounter. Utilizing an aesthetic straight from the Gameboy with a similar soundscape, I can honestly say this game gave me quite the shock. Horror games are typically not my forte, but mainly because I can't get over the huge disconnect between our real world and the digital one. For me, I understand that everything I do in-game will never hurt me in real life, so the scare factor gets lost as I remember I can always pause the game or reload a save file. Going for a retro art style, though, makes for some fiendish character designs that require a lot of player interpretation to understand. That mixed with the harsh audio gives way to moments where a monster pops onto the screen and I jumped a little. The game is thankfully not in real time, playing almost like a dungeon crawler, but the permadeath factor solves my issue of lacking tension in these scenarios. You never know if your attacks are going to land, so it's a huge gamble to even pick a fight in the first place. The combat is a little difficult to figure out, though I opted to skip the tutorial like an idiot. You have a bunch of different options available from multiple categories (Offensive movies, Defensive Moves, etc) that all have a set time limit. You can utilize multiple actions per turn, but you cannot exceed the amount of time available to you. Some support actions will increase your chances of landing offensive hits, but then fill up your meter and prevent you from attacking more. It’s a big risk/reward system that is basically trying to tell you to avoid combat at all costs. The rest of the game is comparable to a point-and-click adventure title. You’ll be collecting items, interacting with NPCs, and inching closer and closer to the answers your character is looking for. I didn't dig in too much since I'm not exactly into these types of games, but World of Horror could end up being a love letter to old-school Japanese adventure titles. There are bound to be people out there that are dying to see these games return and even I have to admit how effective this one is.